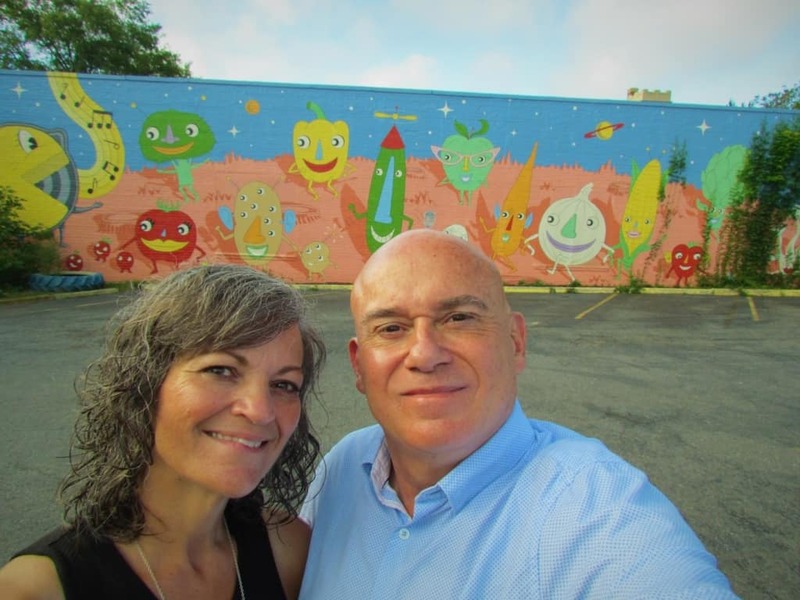 Our visit to Little Rock had a few surprises that we had not expected. One of them was with our visit to The Root Cafe. The plan had been to have lunch there on our first day, but an opportunity to appear on the hit show Diners, Drive-ins, and Dives meant that they had to close for the day. Fortunately, there was a backup plan already in play, so we didn’t go hungry. 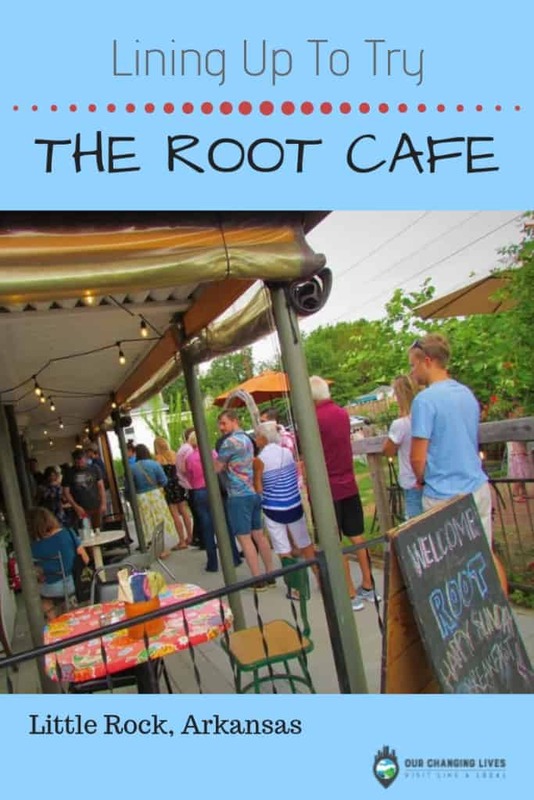 During our stay in Little Rock, we kept hearing the locals rave about Root cafe, so we jostled our schedule to fit in a breakfast visit on our last day. We want to thank the Little Rock CVB and The Root Cafe for their hospitality. Rest assured that all opinions are our own. Being that our new time landed on a weekend, we expected it to be busy. Some of the locals had suggested we arrive about 15 minutes before opening. Are we ever thankful that we took their advice. Even with an early arrival, there was still a good line in play. We weren’t going to let a wait keep us from experiencing this place. It actually created a greater amount of intrigue. Once the doors opened, the line moved at a steady pace. Near the doorway are some chalkboards that list the key menu items for the day. This helps keep the line moving, since you are prepared to order when you get to the counter. Once we paid, it was time to grab some coffee and find a table. There is an eclectic assortment of seating options at The Root cafe. It makes for a homey feeling, which was also obvious by the casual vibe that could be felt throughout the restaurant. All around us there were friends and families deep in conversations. It truly left a relaxing feeling in both of us. While we waited for our meals to be prepared, the owner popped by for a visit. Jack Sundell, and his wife Corri, are the spark behind this interesting restaurant. Starting with a small space, they crafted their counter service into a well-oiled machine. The original space was quite cozy, for customers and staff alike. With the addition of extra space, (created with repurposed shipping containers) they have been able to serve their ever growing throng of fans. An outdoor seating patio adds extra options on nice weather days. 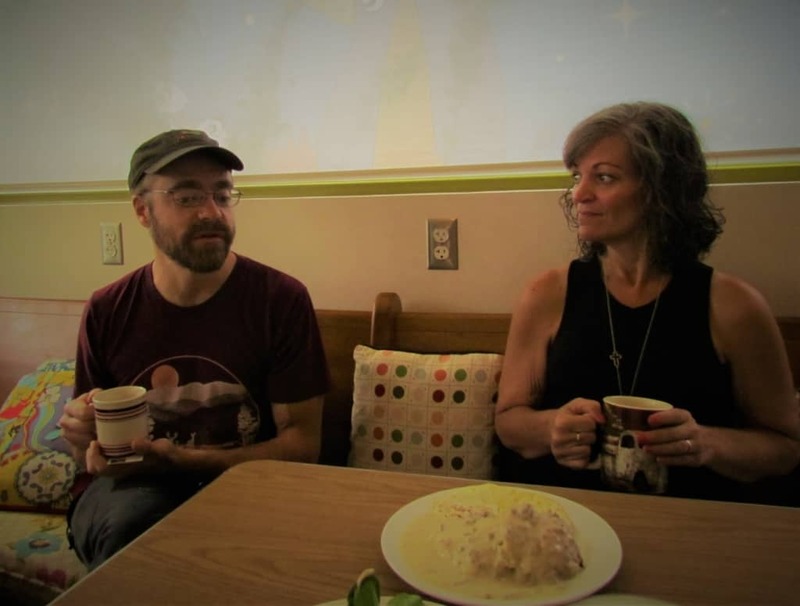 All of this has allowed Jack and Corri to perpetuate their dream of offering fresh, locally-sourced ingredients to their customers. They felt that this approach would be greeted with approval, and by the size of the lines, it appears that they were right on the mark. It felt like we had barely sat down, when one of the staff members brought out our meals. Crystal was in the mood for a good old fashioned style breakfast, so she ordered the Biscuits & Gravy. The meal comes with two farm fresh eggs to add some extra protein. The star of the meal is the buttermilk biscuit drenched with their amazing sausage gravy. I stole a bite, with her permission, and the gravy has a deliciously silky texture. It was so good, and I can see why she chose it. I was wanting something a little different, and a bit more photogenic. The Vegan Omelet was a perfect fit for both categories. Filled with grilled onions, peppers, and two kinds of cheese, it is a hefty meal choice. They even add in a side salad to compliment it. I knew that I would be set for quite a few hours of exploring, after this dish. While neither of these meals were the fanciest we have seen, the freshness came through in every bite. It became clear that this simple approach to food is the reason The Root Cafe has continued success. They bring the best ingredients to the table in a sustainable manner. That is how you make a standard breakfast plate turn into an amazing meal. Now we see why Guy Fieri wanted to feature them in one of his episodes, and they deserve their spot in the limelight. Of course, we are betting that once the cameras leave, Jack and Corri will be right back in the kitchen whipping up plates of Good Eats! 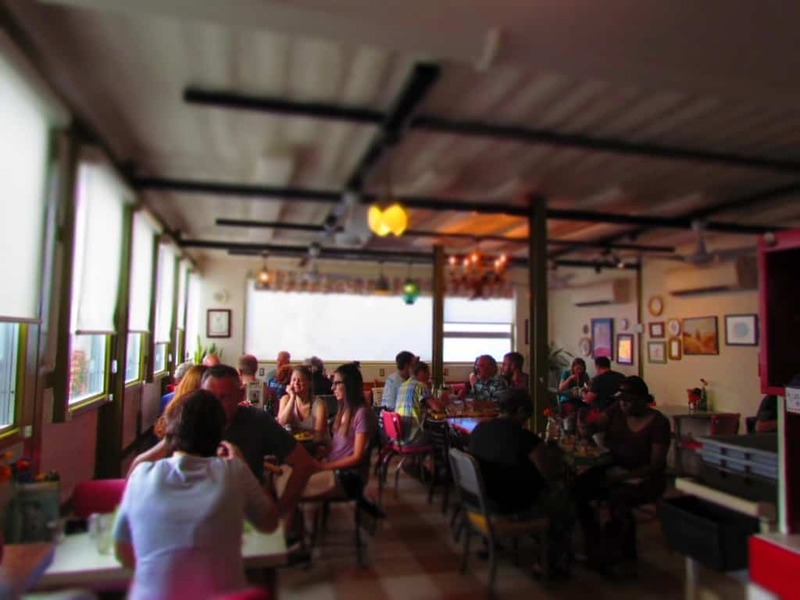 Do you look for locally owned and operated dining options when you travel? We’d love to hear about some of your best finds.Share them in the comments section below. Yes, we love restos like this, even if there’s a long line, especially if it is moving steadily. That means great food and good service. Absolutely! The locals are a great indicator of good eats. Sounds like the joint is jumping with success. Glad you were able to reschedule your visit and have breakfast with the locals. I’ve never been to that town but it sounds like I need to explore The Root Cafe when I get there. It certainly is a hopping place. Wow! The Root Cafe is obviously doing a lot of things right in order to have consistent lineups like that. Thx for sharing your visit with us. Most definitely doing lots right. I’m not a vegan, but it sounded so intriguing I had to try it. How cool! 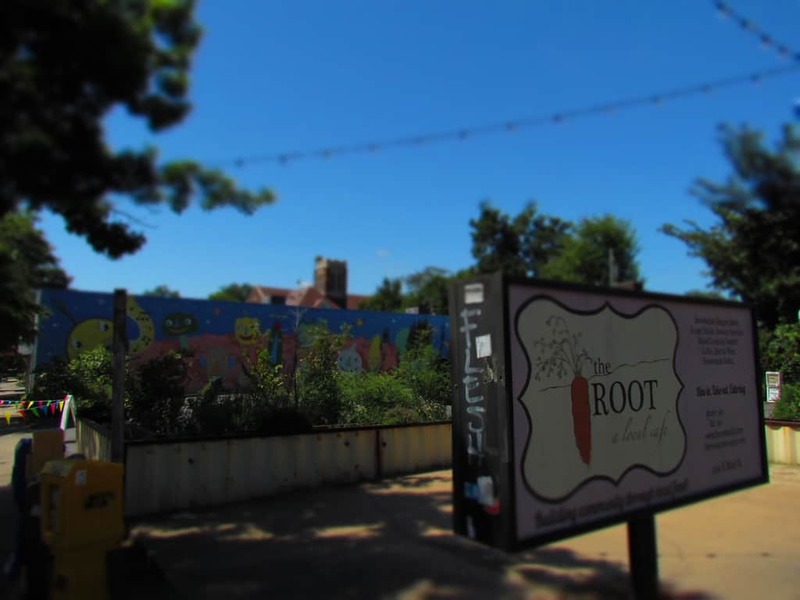 I’ve always wanted to visit a restaurant that was featured on Diners, Drive-Ins and Dives and The Root Cafe seems like it could be the perfect choice! So glad you all were able to fit it into your schedule! So were we. It was worth the shuffle. 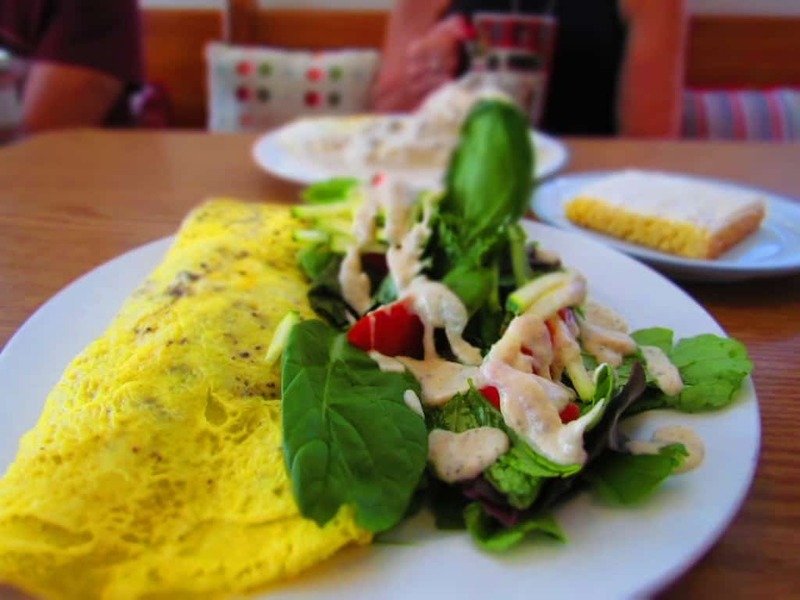 Vegans don’t eat eggs, so what was the vegan omelet made of? It looks like eggs. The Root breakfast looks like it will hold you until dinnertime — especially the biscuits with sausage gravy — AND 2 eggs. I find that breakfast is an important meal while traveling and often the one I enjoy the most, especially in the US, Ireland and the UK. I think the Vegan title had to do with the filling ingredients. I guess it would be a bit misleading, but oh so good. That is certainly the case here. Breakfast might be my favorite meal out — and that biscuits and gravy made my mouth water! 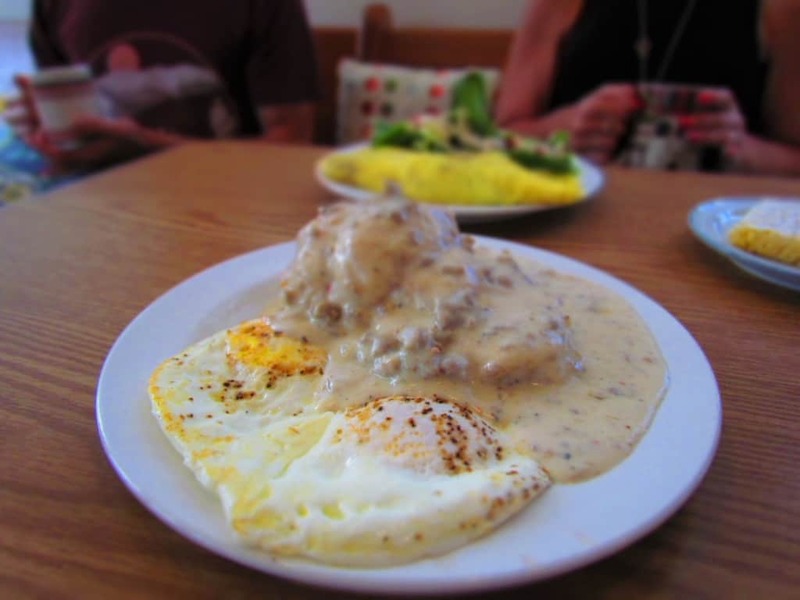 It’s hard to top some good biscuits and gravy. 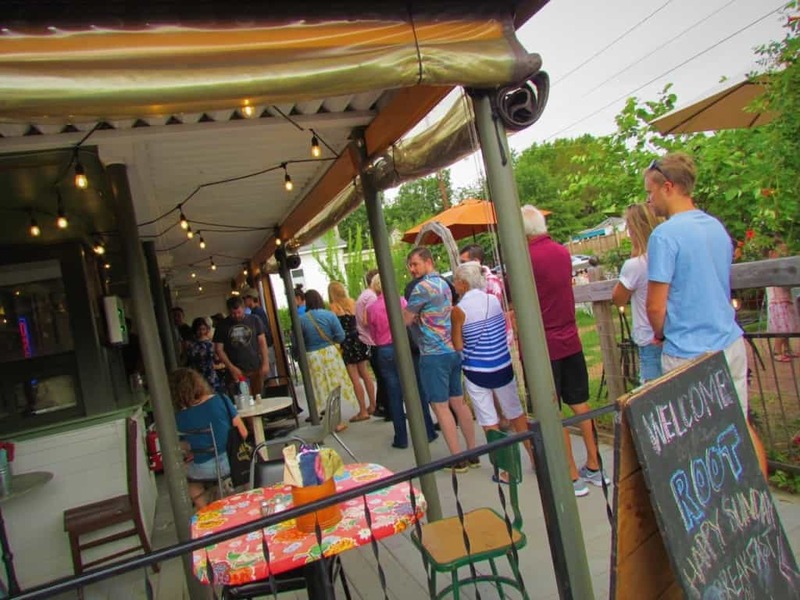 Sounds like the wait was well worth it at the Root Cafe was worth it to you. Good thing you got the tip to get there early from one of the locals. We are glad we heard and heeded their warning.